Arthritis is the leading cause of disability in the United States, affecting an estimated 54 million adults. Many believe joint pain and stiffness is an inevitable part of the aging process and don’t talk to their doctor about it. Dr. Rimma Gelbert wants you to know that relief is available. 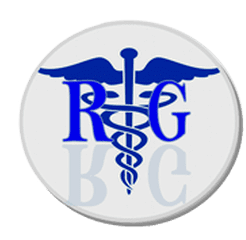 At her family medicine and osteopathic healthcare practice in Brooklyn, New York -- Rimma Gelbert Medical PC -- Dr. Gelbert holistically reduces arthritis pain and increasing function and mobility. Call or click to schedule an appointment today. Arthritis is not a single disease, but a general term referring to more than 100 different types of arthritis and related conditions causing joint pain and inflammation. Arthritis impacts people of all ages, races, and sexes. Osteoarthritis is the most common form of arthritis. It occurs when the rubbery cushioning at the end of your bones wears away, causing bone to rub up against bone. Joints in the hands, hips, knees, and spine are most often affected. Rheumatoid arthritis is an autoimmune disorder where the body’s immune system mistakenly attacks your body tissues. The result is inflammation and swelling affecting the lining of the joints. People with this form of arthritis may have bone loss or deformity. Many people with rheumatoid arthritis have symptoms in other parts of the body. Rheumatoid arthritis can affect the eyes, heart, lungs, and skin. Symptoms tend to flare up and go into remission with this form or arthritis. If you have pain, stiffness, swelling around the joints, or notice any other unusual symptoms, you should schedule an appointment with Dr. Gelbert. She uses a physical exam, imaging tests, and blood and joint fluid tests to diagnose arthritis. After your diagnosis, she forms a personal treatment plan based on the type of arthritis you have, your symptoms, and the severity of your condition. An arthritis treatment plan may involve a combination of prescription and over the counter medication, stretching, massage, gentle manipulation, and healthy lifestyle counseling to reduce pain and inflammation and limit flare-ups. Joint stiffness and pain don’t have to keep you from living life to the fullest. Try Dr. Gelbert’s holistic approach to arthritis treatment for noticeable relief from symptoms and a greater quality of life. Call the office or schedule your appointment using the simple online booking system.